The Fourth Street Medical Building is a retrofit project that has totally transformed the old Redwood Credit Union building at 1701 Fourth Street. The “new” building is being designed and built for four medical industry tenants. The general contractor for the project is R.E. West Builders, Inc.
“R.E. West has done a phenomenal job on this building”, says Rich Hoaglund, Project Manager for LeDuc & Dexter’s commercial department, which is contracted to complete all of the plumbing for the project. “R.E. West has worked on everything from the footings up to the two new roofs. They also set a number of I-beams to earthquake-proof the building.” As you can see to the right LeDuc & Dexter had to saw cut some of the existing slab to install the sanitary sewer lines. 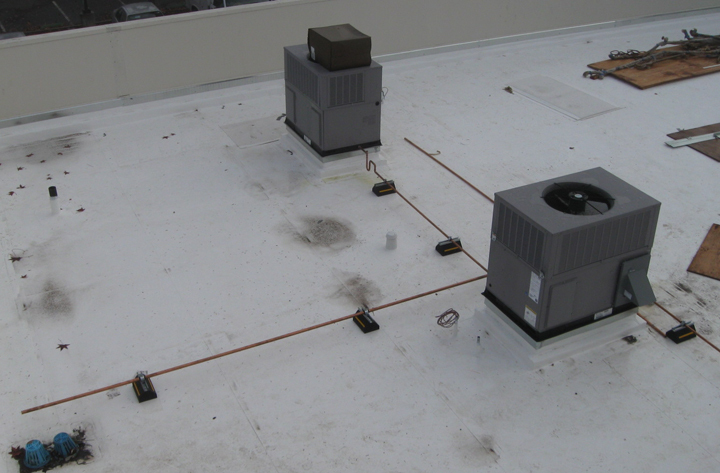 LeDuc & Dexter has installed roof drains and overflows for the two new roofs and condensation piping and gas piping for the rooftop HVAC units. 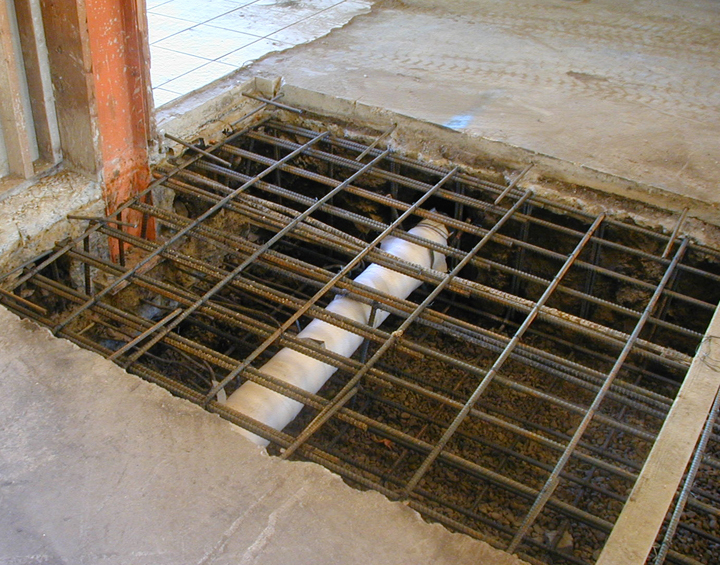 LeDuc & Dexter saw cut through the original cement slab to install the sanitary sewer lines that accommodate 14 sinks for medical examination rooms. LeDuc & Dexter has been contracted to complete tenant improvements for all four tenant spaces. 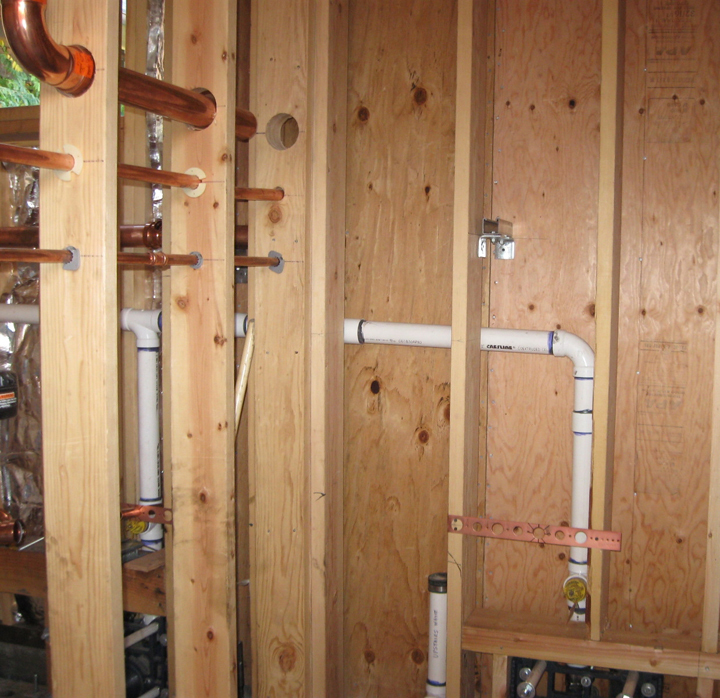 LeDuc & Dexter is installing two water heaters in the mechanical room and hot and cold water lines, which includes recirculating hot water lines that pump non-scalding tempered hot water. The common areas include restrooms and a break room with toilet and sink plumbing and fixtures. 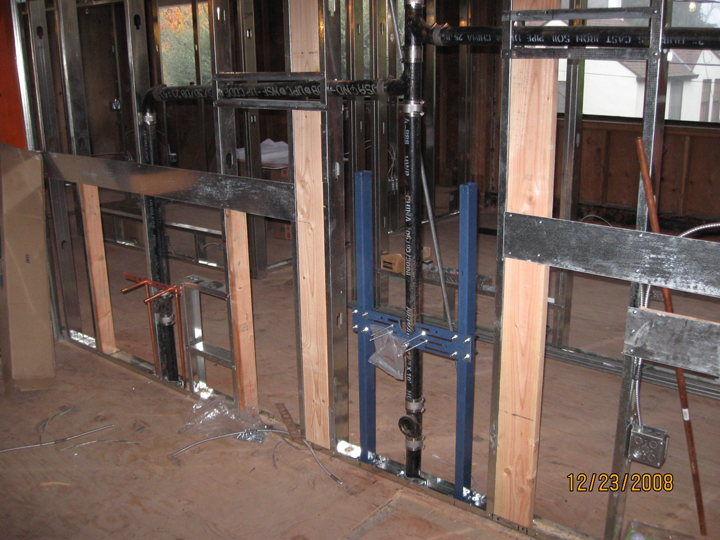 LeDuc & Dexter also installed a complicated fire sprinkler system for the building. You can see some of the copper pipe and sewer lines ran to the right. This project is one of many examples that show the capabilities that we have here at LeDuc & Dexter.